The U.S. government, including the Agriculture Department, is expected reopened on Jan. 25 amidst questions about how quickly USDA will be able to issue the market reports that were missed during the 35-day shutdown. Both houses of Congress passed legislation reopening the government through Feb. 15. 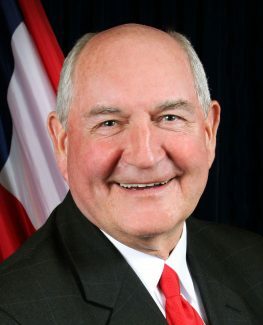 After President Donald Trump signed the bill, Agriculture Secretary Sonny Perdue said in a statement, "President Trump's announcement of the reopening of the federal government is welcome news, as it will bring thousands of our employees back to work and return us to our mission of providing our customers with the services they rely upon." "I extend my sincere thanks to the thousands of USDA workers who stayed on the job during the shutdown to offer as many of our normal activities as we could. The president has already signed legislation that guarantees back pay for all employees, and we will move forward on that as soon as possible. Meanwhile, we will prepare for a smooth reestablishment of USDA functions. "There will now be sufficient time for Congress to come to an agreement with the president on his pledge to protect our national security by securing our southern border with a reliable, effective barrier." Meanwhile, analysts began speculating about how the issuance of the delayed reports will affect the markets. Analyst Jerry Gulke said, "The past month, traders were relying on different outlets for market, trade and export information because USDA reports are delayed." The reopening of the government "will ensure furloughed workers will receive back pay, but will it also provide a backlog of USDA reports that shocks the marketplace?" Gulke asked. The American Farm Bureau Federation's Market Intel service reported that 62 reports have gone upublished since Dec. 22 when the shutdown began. Five agencies within USDA publish regular reports: the Agricultural Marketing Service, Foreign Agricultural Service, National Agricultural Statistics Service, Economic Research Service, and the World Agricultural Outlook Board, Farm Bureau noted. AMS is the only agency of the five that continued publishing reports during the shutdown that shuttered most of USDA. The agency with the largest number of forgone reports is the National Agricultural Statistics Service with 32 reports, followed by Economic Research Service with 22 reports, and the Foreign Agricultural Service with eight reports. "Once the government shutdown ends, data from some of these reports will become available, since it is procured by survey from private producers, processors and exporters, who have still been operating during the shutdown," Farm Bureau economist Veronica Nigh wrote. "Some of the data, however, will never be available," Nigh said, because officials were unable to meet and the market has shifted and it wouldn't make sense to publish the data after the fact.